​Bamboo absorbs carbon dioxide and releases over 30% more oxygen into the atmosphere than the equivalent mass of trees. Bamboo is truly zero waste. Every part of the plant can be utilised. Bamboo is intrinsically stronger than steel! 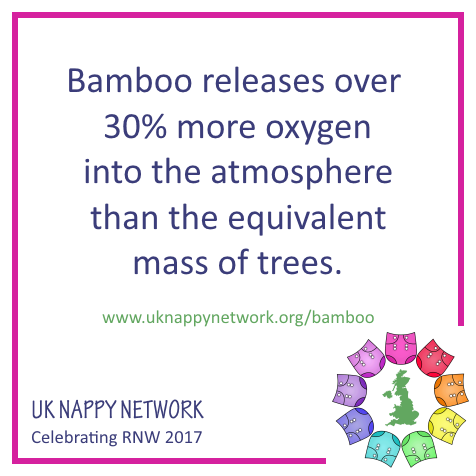 Everyone in the reusable nappy community knows about the benefits of bamboo. Lots of people also know what a fantastically sustainable plant it is when grown responsibly; it grows and matures incredibly quickly, doesn't require reseeding or pesticides and fertilisers to mass produce for manufacture and needs very little water in comparison to other plants used as raw material such as cotton. ​But did you know how the harvested plant is transformed into a fabric? Well, there are two ways, mechanically or chemically. The mechanical method crushes the plant and uses natural enzymes to break it down. This is labour intensive, expensive and produces what is known as bamboo linen. The chemical method 'cooks' the bamboo in chemical solvents. These are potentially harmful for those exposed to them including atmospherically or via waterways. The method produces what is known as 'rayon'. Both processes have significant drawbacks, don't they? Fortunately there is progress on new technologies that are less chemically intensive and will hopefully allow us to continue to enjoy bamboo fabric for all the wonderful qualities it has. When looking into the ethical considerations of an issue it's important to look at the whole picture, isn't it? For sure, bamboo manufacture isn't 100% perfect but using it in reusable nappies means the same item can be used 100s of times and it is biodegradable itself, yes you can compost your nappy when you've finished with it! You can also look out for Oeko-Tex 100 certification which assures you the product contains no harmful substances. That is certainly better than a single use plastic based nappy, right? And that's the thing with choosing to use reusable nappies, it allows you to make informed choices about what you buy, where from, how you use them and what you do when they have finished their time with your family. There are options for everyone, a truly ethical choice. Have a read for more fascinating facts about this versatile material. 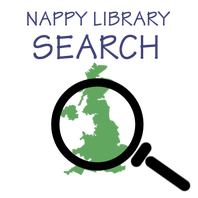 If you would like to share the graphic from this page, please use the larger image from the top and, if possible, include a clickable link either to the link on the graphic, the UK Nappy Network website (www.uknappynetwork.org) or to the nappy library map (www.uknappynetwork.org/map) in your comments on social media.